Who invented the Internal Combustion Engine? The name of the person credited with inventing the four-stroke Internal Combustion Engine and the Otto Cycle is Nikolaus Otto (1832 - 1891). The 'Otto Cycle' was the name given to describe the functioning of a typical spark ignition piston engine. When was the Internal Combustion Engine invented? Nikolaus Otto invented the Internal Combustion Engine in 1876, during the Second US Industrial Revolution / Victorian period of invention (1850 - 1914). Nikolaus Otto is not only famous as the German inventor of the Internal Combustion Engine but also as a designer and engineer. Definition of the Internal Combustion Engine: The Internal Combustion Engine is defined as a heat engine in which combustion occurs (combustion means burning) inside the engine rather than in a separate furnace generating motive power by the burning of fuels such as petrol and oil. The heat expands gasses that either turns a gas turbine or moves a piston. Compared to earlier steam engines, The internal-combustion engines were lighter and more powerful than earlier Steam Engines and made automobiles possible. Fact 1: Who invented the Internal Combustion Engine? The Internal Combustion Engine was invented by Nikolaus Otto in 1876 during the Second US Industrial Revolution era of inventions (1850 - 1914), a significant addition to advancements made in the area of Transportation and the Car that was invented by Karl Benz in 1886. Fact 3: Who invented the Internal Combustion Engine? Prior to the invention of the Internal Combustion Engine in 1876, the Steam Engine, an external combustion engine moved by steam, was invented by James Watt in 1769. Fact 4: Who invented the Internal Combustion Engine? In "external combustion engines", such as in steam engines, water is boiled in a container, producing steam, outside the engine. In internal combustion engines a combustible fluid such as diesel and petrol (gasoline) is placed inside a cylinder and burns inside the engine. Fact 5: Who invented the Internal Combustion Engine? Internal combustion engines use the explosive combustion of fuel to push a piston within a cylinder. The piston's movement turns a crankshaft, that then turns the wheels of a vehicle via a chain or a drive shaft. 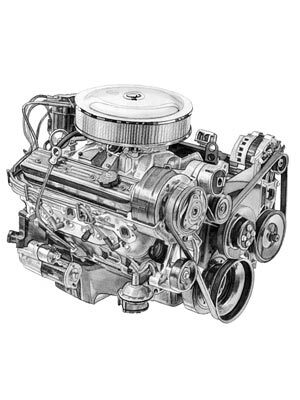 Fact 6: Who invented the Internal Combustion Engine? Other inventors made significant contributions to the invention of the Internal Combustion Engine. In 1680 Christian Huygens designed, but never built, an internal combustion engine that was to be fueled with gunpowder. In 1807 Francois Isaac de Rivaz invented an internal combustion engine that used a mixture of hydrogen and oxygen for fuel but his car design was unsuccessful. Fact 7: Who invented the Internal Combustion Engine? In 1824 Samuel Brown adapted a steam engine that burned gas to fuel a vehicle. In 1860 Jean Joseph Etienne Lenoir patented a single-cylinder, two-stroke electric spark-ignition internal combustion engine fueled by stove gas. In 1873 George Brayton developed an unsuccessful two-stroke kerosene engine for a gasoline-powered vehicle. Fact 8: Who invented the Internal Combustion Engine? In 1866 made improvements to previous designs and developed a more efficient gas engine and went on to be credited with the invention of the first successful Internal Combustion Engine in 1876 that was used in the Otto Cycle Engine. Fact 9: Who invented the Internal Combustion Engine? The inventor of the Internal Combustion Engine, Nikolaus Otto, was born on June 14, 1832 in Holzhausen an der Haide, Germany and died on January 26, 1891. Fact 10: Who invented the Internal Combustion Engine? The early years of Nikolaus Otto were spent in Holzhausen an der Haide, Germany where he was raised on a farm by his parents. He was the youngest of six children. Nikolaus Otto was educated at high school where he was fascinated by science and technology, but he never went on to higher education at a college of university. Fact 12: Who invented the Internal Combustion Engine? Nikolaus Otto learned about the single-cylinder, two-stroke, gas-driven internal combustion engine that had been patented in 1860 by Jean Joseph Etienne Lenoir. Fact 13: Who invented the Internal Combustion Engine? In 1861 Nikolaus Otto built an engine based on Lenoir's idea and applied for a patent in January 1861 for a liquid-fueled engine, but his engine had faults and his patent application was rejected. Fact 14: Who invented the Internal Combustion Engine? In 1864 Nikolaus Otto met Carl Eugen Langen, an engineer and owner of a sugar factory. Carl Eugen Langen recognized the potential of Otto's development and the two men founded NA Otto & Cie in Cologne, the first engine factory in the world. Fact 15: Who invented the Internal Combustion Engine? Otto and Langen, working with their engineers, Gottlieb Daimler, Franz Reuleaux and Wilhelm Maybach, developed a new four-stroke gas-driven internal combustion engine which they took to the International Exposition of 1867, a world's fair to be held in Paris, from 1 April to 3 November 1867. Their invention won gold medal at the exposition. Fact 16: Who invented the Internal Combustion Engine? The company name was changed to Deutz Gasmotoren Fabrik in 1872 and by 1876 they had developed the thermodynamic cycle called the "Otto-cycle", describing the functionality of a typical spark ignition piston engine. Fact 17: Who invented the Internal Combustion Engine? In 1882 the British engineer James Atkinson (1846–1914) modified the Otto cycle to create the Atkinson cycle, another type of internal combustion engines in which the intake valves were held open for a portion of the compression stroke. Fact 18: Who invented the Internal Combustion Engine? Further progress was made by the Deutz Gasmotoren Fabrik company in 1884 when Nikolaus Otto invented the electric ignition. Fact 19: Who invented the Internal Combustion Engine? The "Otto-cycle" engine was a great commercial success and the company sold over 50,000 engines in the 17 years following the introduction of the first engine at the Paris world's fair. Fact 20: Who invented the Internal Combustion Engine? Gottlieb Daimler (1834 - 1900) left the Deutz Gasmotoren Fabrik company and in 1885 patented one of the first successful internal-combustion engines and helped to develop the commercially feasible four-wheeled automobile. Fact 21: Who invented the Internal Combustion Engine? In 1886 the German inventor Karl Benz (1844 - 1929) is credited with inventing the first true gasoline car and the Automobile Industry really took off. Fact 22: Who invented the Internal Combustion Engine? Rudolf Diesel invented the Diesel Engine in 1893 by using highly compressed hot air to ignite the fuel rather than using a spark plug. Fact 22: Who invented the Internal Combustion Engine? Nikolaus Otto died on January 26, 1891 and will be remembered as the man who made the development of automobiles, motorcycles and the airplane all possible.